Robert Burns’s nephew, Thomas Burns (1796-1871) was born in Mossgiel, south of Glasgow, three months before the poet’s death. An ordained minister and experienced farmer, the Reverend Thomas became interested and involved in the ‘Otago Settlement Scheme’ in 1844. Four years later, Burns, his wife Clementina, their six children, and several hundred Scottish and English settlers arrived in Dunedin. It was the beginning of the long association between the city of Dunedin and all things Scottish, especially the poet Robert Burns. 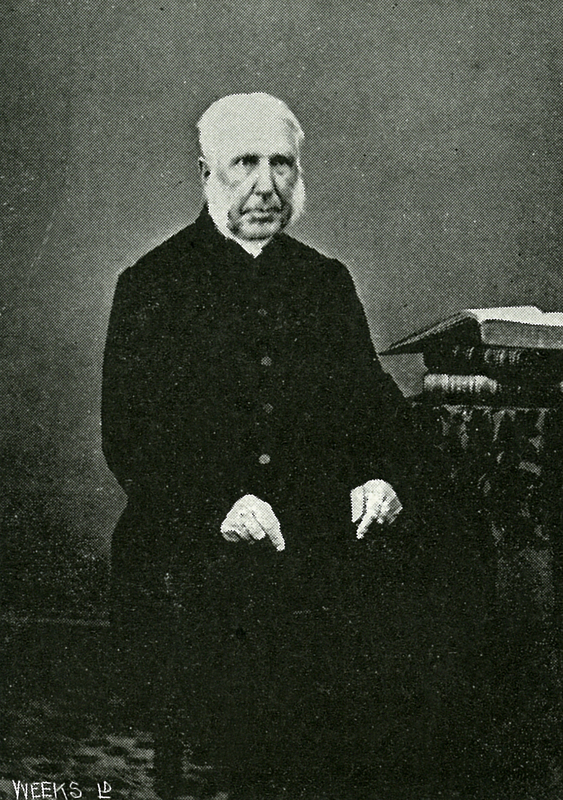 One of the Reverend Thomas’s legacies, apart from his position as a respected religious leader in the community, was his work to establish a Chair of Literature for the newly founded University of Otago in 1869. ___, “The Reverend Dr Thomas Burns from The Cyclopedia of New Zealand,” ourheritage.ac.nz | OUR Heritage, accessed April 26, 2019, http://ourheritage.ac.nz/items/show/10993.